Police departments across the nation are looking for a tool – the equivalent of a breathalyzer – that determines if a driver is high on marijuana and then provides evidence that can be used in marijuana-DUI prosecutions. California Assemblyman Tom Lackey introduced legislation in Sacramento this year that would have equipped police officers with the “DDS 2 Mobile Test System” which purportedly has a 90 percent accuracy rate, according to the manufacturer. The device screens a saliva sample and determines in minutes whether the driver has used amphetamines, cocaine, marijuana, methamphetamines, or opiates. Lackey’s proposal failed to receive the votes needed for passage this year, but he’s promised the legislation will be reconsidered in 2016. 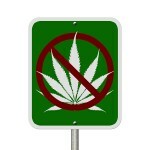 Marijuana-DUI in California is exactly the same charge – with exactly the same penalties – as alcohol-related DUI. If you’re charged with DUI in Orange County, whether you’re accused of drinking and diving, smoking pot and driving, or using some other intoxicant and then getting behind the wheel, fight the charge with help from a trustworthy and experienced Orange County DUI defense lawyer. As you may already know, marijuana “breathalyzers” and detection devices cannot provide the information that traditional breathalyzer devices provide. In other words, while a device can confirm if a person has or hasn’t smoked marijuana, currently there is no device to measure the level of intoxication. Traces of marijuana can remain in a person’s bloodstream for days and even weeks, long after any effect of intoxication has faded, but there remains no way to measure a driver’s current or immediate level of intoxication. Still, arrests will be made and efforts to create and equip police officers with “marijuana breathalyzers” will continue. For California drivers, the best advice is simply this; don’t drink, smoke pot, or consume any other drug before driving. Even legal prescription and over-the-counter medications can impair your driving ability. However, if you make a bad judgment and you’re charged with DUI in Orange County – or if you’ve been falsely accused and you’re innocent – put your case immediately in the hands of an experienced Orange County DUI defense lawyer.